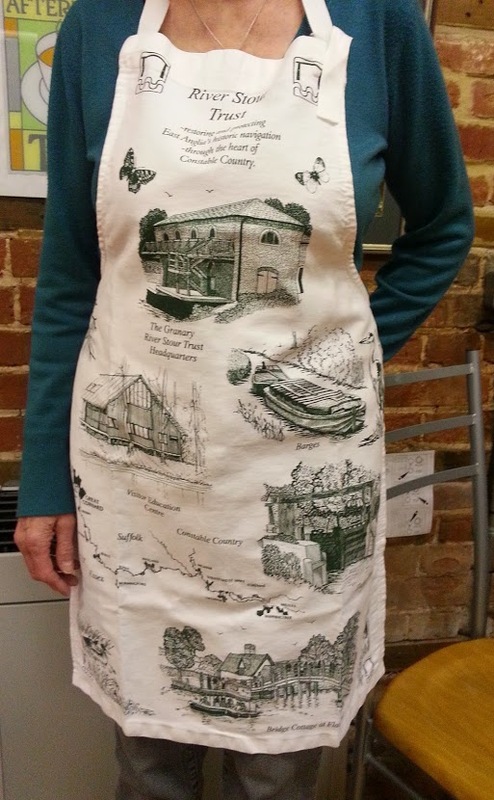 Show your support for the River Stour Trust by purchasing our branded merchandise. A minimum £1 admin fee applies to each order and is referenced as a ‘Shipping’ cost in your shopping cart. Additional postage and packaging costs may apply- please see below. For all items, please allow up to 28 days for your order to be ready for collection/delivery. Click here to read our Sales Policy. Click here to visit our main sales page for details of other sales items. We use PayPal to process online bank or card payments and your financial details are never shared. PayPal accepts payments from Mastercard/Eurocard, Visa/Delta/Electron, Discover, American Express, Switch/Maestro or Solo cards. You do not need a PayPal account to use this facility. Simply click on the relevant ‘Add to Cart’ button below and your item will be added to your shopping cart which will appear at the foot of the page. You can add as many items as you wish to the Cart before proceeding to the next step. Review your order before payment. Remember to add the postage and packaging (deliveries within UK only) if you are not collecting your order and delete any unwanted items by clicking on the red circle with a white cross in it. Remember to add the charge for postage & packaging! Once you are happy with your order simply click on the yellow button entitled ‘Check out with PayPal’ and this will open a new window. Log in to your PayPal account or click on ‘Don’t have a PayPal account’. You will then need to fill in your name, contact details and select your payment card type before being able to proceed with the payment. 100% heavy cotton drill, Self fabric strap with tri-glide buckle, Seamless, Centralised front panel. Available in French Navy and one size only. 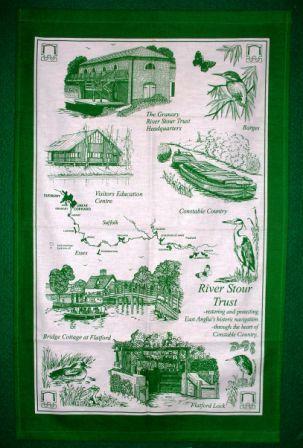 Exclusively designed for the Trust with images of river scenes (matches perfectly with RST tea towel). Available in white with green image. Adult 8oz bleached cotton drill colourfast apron without pocket. Dimensions: 60cm by 85cm approx. Polyester side ties each 1 metre in length. Adjustable 72cm neck tie with ‘D’ ring. Suitable for telephone messages, shopping lists, etc. Line drawing in the bottom corner depicts the restored Granary at Sudbury. Good quality cotton, exclusively designed for the Trust with images of river scenes. Good quality leather in blue or green with an image similar to an Frolic 21 or Regatta electric boat. These are the makes of our trip boats Rosette, Stour Trusty II, Kathleen and Edwardian Lady – click here for more information. 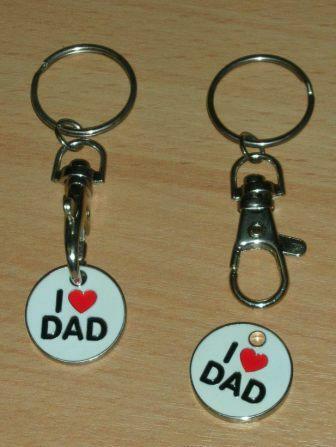 Plastic key ring with historic image of a pair of Stour Lighters on one side and RST contact details on the other side. Available in navy blue or racing green whilst stocks last. Our restored Stour lighter, John Constable, is available for trips on the Stour – click here for more information. Always have ‘£1’ to hand – suitable for use in supermarket trolleys and gym lockers. Packs of 11 postcards with a selection of river scenes and riverside locations. A pack could include images of Great Cornard Lock, The Granary, Rosette, Rowboats at Flatford, Stour Trusty II, Flatford Bridge, Henny Swan, Willy Lott’s Cottage, Cornard Mill, and Anchor Wharf 1905. Packs might contain duplicates.